This inspirational collection of letters from successful trans women shares the lessons they learnt on their journeys to womanhood, celebrating their achievements and empowering the next generation to become who they truly are. 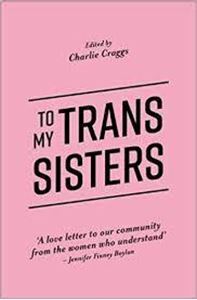 Dedicated to trans women everywhere, this inspirational collection of letters written by successful trans women shares the lessons they learnt on their journeys to womanhood, celebrating their achievements and empowering the next generation to become who they truly are. Written by politicians, scientists, models, athletes, authors, actors, and activists from around the world, these letters capture the diversity of the trans experience and offer advice from make-up and dating through to fighting dysphoria and transphobia. By turns honest and heartfelt, funny and furious or beautiful and brave, these letters send a clear message of hope to their sisters: each of these women have gone through the struggles of transition and emerged the other side as accomplished, confident women; and if we made it sister, so can you!